NOTE: This post contains an affiliate link which means if you click on it and make a purchase, I make a commission. This doesn’t cost you anything additional. These commissions help to keep the rest of my content free, so thank you! 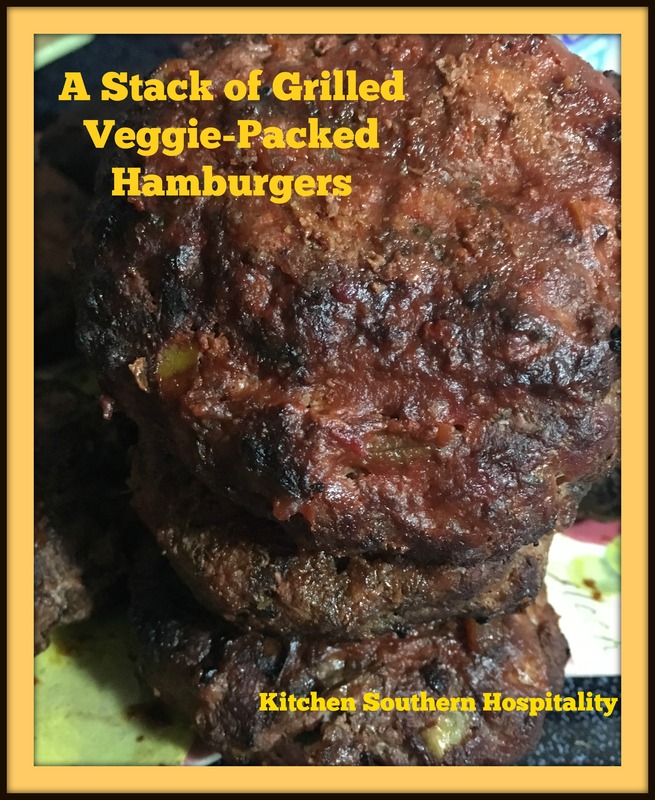 Barbecue hamburgers have already gone on the grill for this Father’s Day weekend. They’re jam-packed with chopped-up yellow and green bell peppers and onion with one egg added to the mix. Families with adults kids who dislike eating vegetables, sneak in some colorful bell peppers in your meat. Chop them up very fine and put them in the middle of the patty. Nobody will ever know, and you managed to feed your family healthy vegetables without their knowledge. 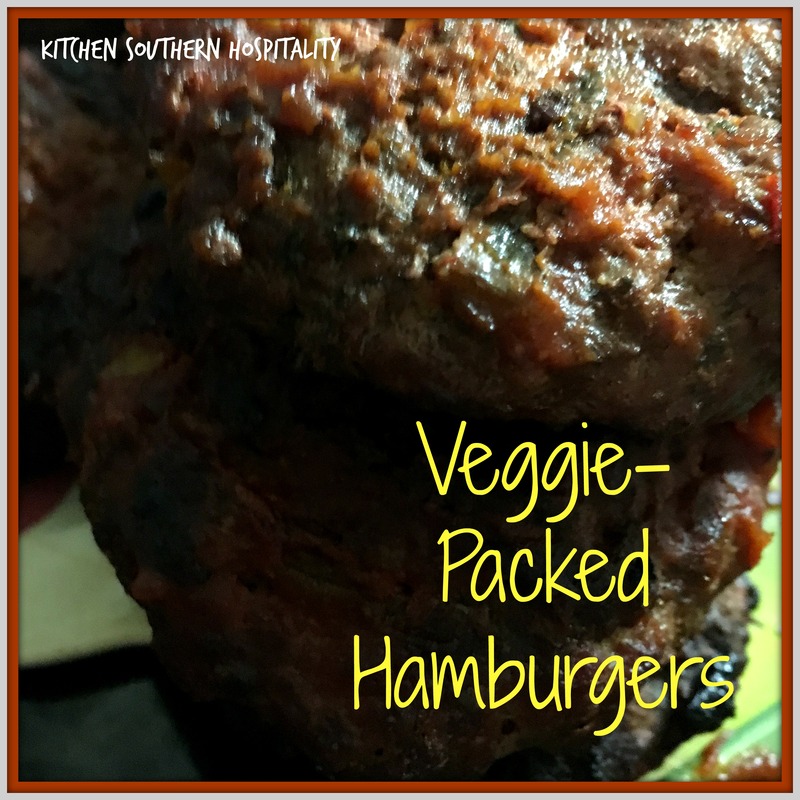 These veggie-packed hamburgers remind me of the meatloaf my mother used to cook when I was growing up. I loved the way she baked meatloaf. It looked so pretty when she took it out of the oven and set it on top of the stove. The ketchup she had added (I assume toward the end of baking) covered the meatloaf like topping it with a sauce, almost like a dessert icing (more nutritious than the icing, for sure). One meatloaf memory sticks with me. I had come in from school one day to eat lunch at home before I drove to the technical school for the afternoon. I heated the leftover meatloaf in the microwave. The meat must not have been evenly heated or warmed up enough in the microwave because I got terribly sick. It was years before I would eat meatloaf again. On the note of leftover meat, what is your opinion about eating leftover grilled hamburgers? What if you put the hamburgers in the oven (not heated up) to keep flies off of the meat and forget that it’s in the oven until the next morning? I’ve done that. My typical response would be to throw it out just to be sure. If it’s in the winter, you don’t have central air and heating, and the temperature in your house is freezing, then I might eat the meat the next day. Do the safe thing. 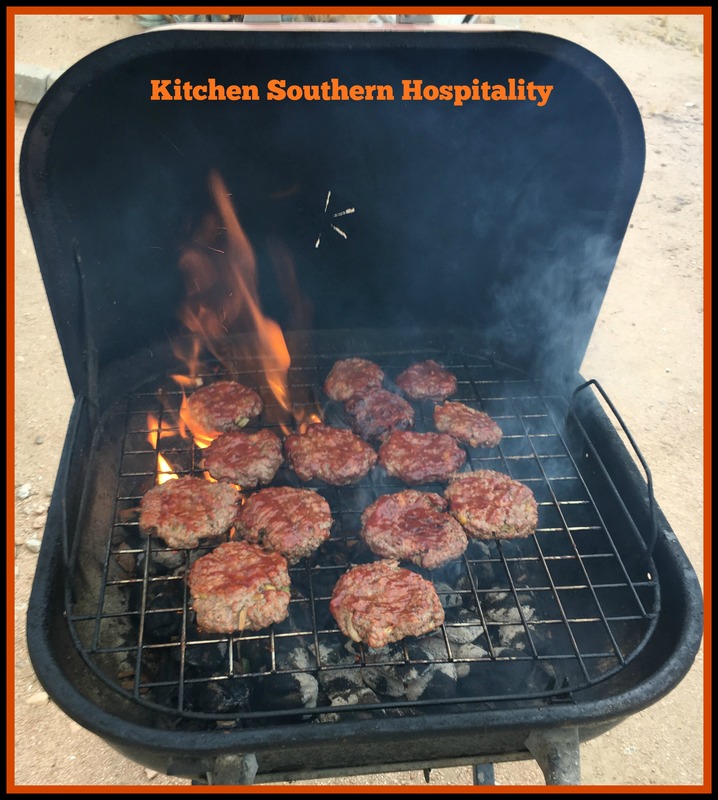 Food bloggers, it doesn’t matter if you use the propane kind or a simple small charcoal type, hamburgers cooked on the grill are worth blogging about. So don’t wait ’til you can afford the propane grill you’ve been wanting before you blog about your summer grilling recipes. Go ahead and share the exciting summer recipes you cook on your little inexpensive charcoal grill. Just take a lot of pictures so you’ll get at least one good photo of the grill. Ready for summer? The heat is kicking in just in time this weekend for the official day of summer on Tuesday. Sounds like time for grilling to me. I love grilled burgers. I also love mixing veggies into my burgers, too. Once, this habit caused a problem though. A guest asked what km d of patties they were. When I responded that they were 90% beef, everyone stopped eating and stared at me. after I explained the added ingredients, they visibly relaxed. lol!